The public may not have understood the “complex” issue of devolution when taking part in a phone poll, it has been claimed. 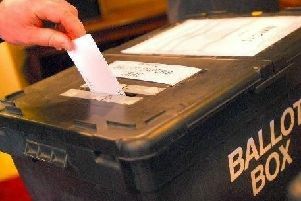 Nick Sandford, Liberal Democrat member on Peterborough City Council, says proposals for a combined authority with an elected mayor could have been difficult for people to get their heads around. Cllr Sandford’s comments come after a majority of the 2,280 people who took part in an Ipsos MORI telephone survey supported both the combined authority and elected mayor. However, more than half the people who voted on an online consultation were against both concepts, with nearly 60 per cent opposed to the elected mayor. Cllr Sandford said: “The results are curious. It’s not just a marginal difference between telephone and online, there’s a massive difference. “People were phoned up out of the blue and maybe they did not understand what an elected mayor is. Maybe they thought it’s like our current mayor. It’s quite a complex issue and I’m not convinced phoning people up out of the blue you get informed results. Cllr Holdich also claimed the telephone poll was more reliable than the online survey because “it covers more of the population.” In the Ipsos MORI poll, 37 per cent of people knew nothing or had never heard of devolution. The city council will vote at the end of October on whether to be part of the new combined authority which would be given hundreds of millions of pounds from the Government to support economic growth and housing. Peterborough would also be awarded its own university. Liberal Party member Cllr Keith Sharp also criticised the consultation. He said: “I do not think people understood the full facts. There should have been five to six meetings with people to put the case for both sides of the argument.